A whole bunch of licensed, Activision-published titles were pulled from Steam earlier today. 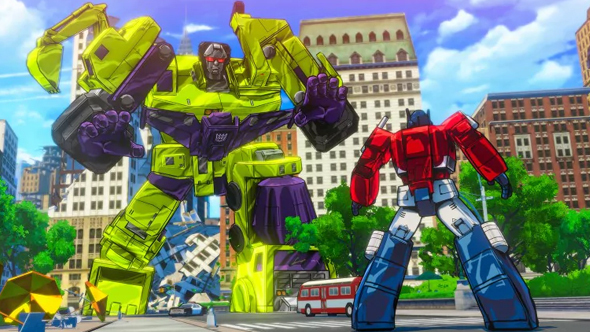 There’s a pretty good chance you wouldn’t have wanted to play most of them anyway – many are middling Transformers titles – but it’s more than a bit disconcerting any time a game goes down without warning. Get the best old games on PC while they last. We wouldn’t even have noticed if not for the eagle-eyed observations of lashman on Twitter. The titles affected are Transformers: War for Cybertron, Transformers: Fall of Cybertron, Transformers: Rise of the Dark Spark, Transformers: Devastation, The Legend of Korra, and all DLC associated with those games. None of those games are all-time classics, but Devastation was a pretty neat take on original Transformers developed by Platinum. Of course, none of this is uncommon, particularly not for licensed titles. Earlier this year, Activision removed a handful of Teenage Mutant Ninja Turtles and Spider-Man titles from sale, and those similarly disappeared without warning. As with most any delisted title, the games will remain in your library if you’ve already purchased them, but if you want to buy them now? You’re completely out of luck.